Add an additional $20.00 heavy/bulky shipping charge per each. 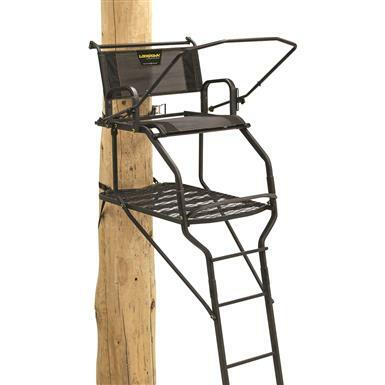 For extra comfort during your hunt, trust the Rivers Edge Lockdown Wide 1-man Ladder Tree Stand to get the job done right. 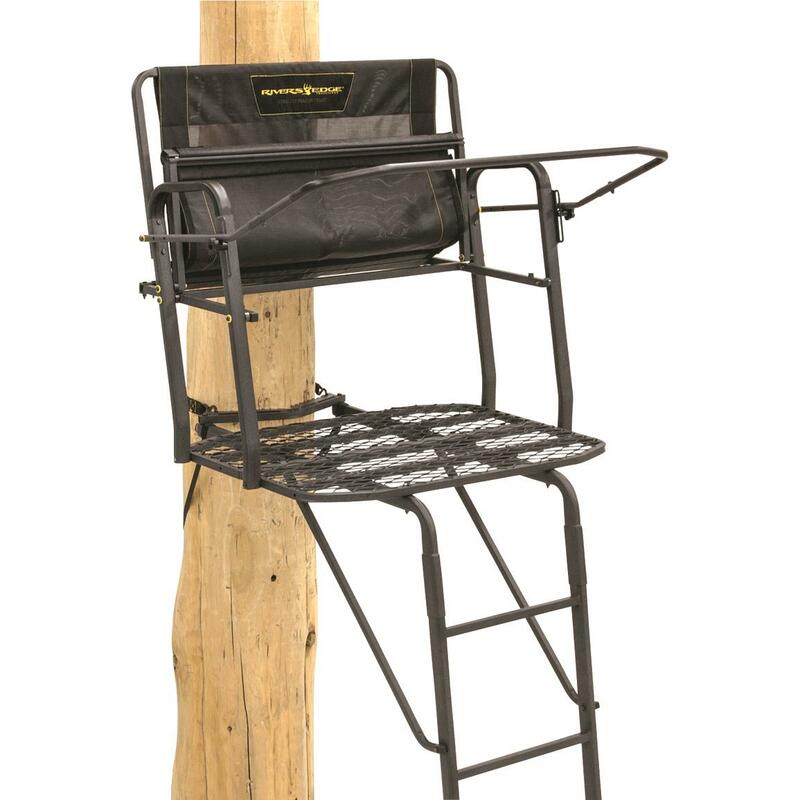 Durable 18' Tree Stand is made from octagonal tubing and features a large foot platform and wide TearTuffTM seat for all-day comfort. 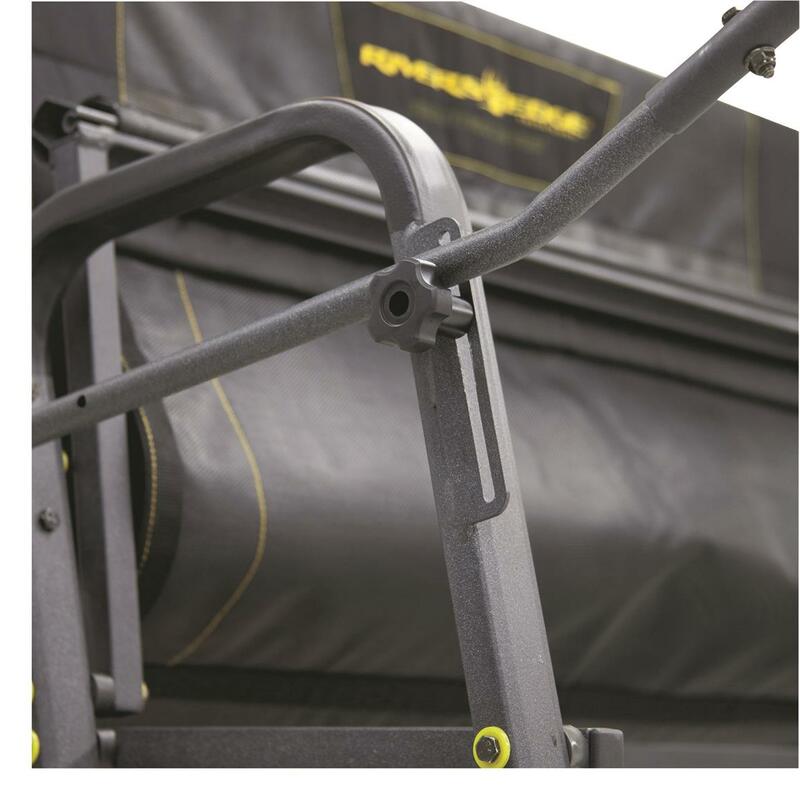 Plus, its Gridlock Attachment System secures your stand tight to the tree, giving you a rock-solid, stable place for hunting big game. Platform Dimensions: 26.2" x 35.8"
Seat Dimensions: 25.3" x 17.2"
Rivers Edge Lockdown Wide 18 1-Man Ladder Tree Stand is rated 4.5 out of 5 by 6. Rated 5 out of 5 by Dave from New generation tree stand! Bought, assembled and installed in March of this year. Put this stand up near a deer trail that's used year after year. It's within archery range and I think it'll be great this fall. Went together easily and is roomy. I like the way it attaches to the tree. Of the 10 or 12 stands I've sat in, this one is easily the most comfortable. Overall very pleased. Rated 2 out of 5 by Kpar115 from Does not feel safe I purchased this stand as a option for different wind direction at an old location. Was a chore to put up. I feel unsafe in this stand. Too the point where I don’t want to hunt out of it. I don’t see why all stands have to be 18-20 feet tall! Make the ladder WIDER for more stability. Shorter to reduce the play in the ladder sections. Also you feel Very exposed to falling while attaching the upper ratchet straps. Rated 5 out of 5 by Dman from Awesome stand Extremely well done product. Only reason for not 5 stars is, after a month or so the platform did start to squeak, but only in certain spots so I learned not to step on those spots. Other than that I love it super comfy to sit in. Rated 5 out of 5 by Old man from Easy setup and very comfortable i purchased this a month before archery season. It was easy to assemble and put up. When the season started i found it very comfortable. I stayed in the stand much longer than normal. Rated 5 out of 5 by Zippy42 from Excellent Quality!!! I purchased this stand a month ago and so far I am extremely impressed with the quality of this stand. I own Hawk and Muddy stands and so far, this has been the easiest of the tree to assemble. Overall weight of the stand is perfect for setting up with one person. The extra wide single seat will be great when it comes to hunting this season. I would definitely recommend this stand to anyone that wants a solid stand with plenty of room and comfort. Rated 5 out of 5 by Jack from Solid ladder stand The directions were easy to follow and it took me about an hour to assemble it by myself. Two friends helped me with the set up in the woods. We all were amazed to see how well crisscrossed straps worked but even more amazed how solid this stand became after the large ratchet straps were put in placed. The group that I hunt with have certainly tried a lot of different equipment over the past 30 years. The past few years however the trend has been switching over to ladder stands for obvious reasons. This stand got the thumbs up not only by me but also by the four others that I hunt with.